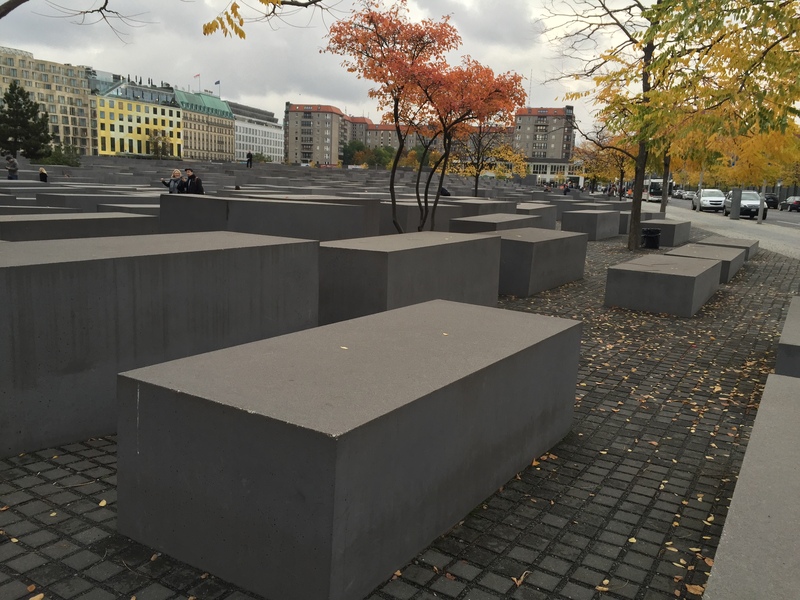 “We would like to know how you would generate a good memorial.” These are words our professors said to us this past weekend during a workshop at the Topography of Terror in Berlin. They wanted to know what we thought was important to include in a memorial and how we would generate appropriate feelings in a space of remembrance. 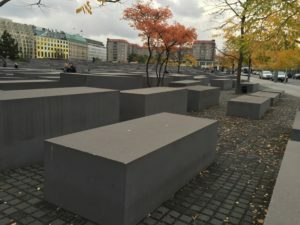 The task had been prompted by visits to a number of memorials in Berlin. However, the request concerned much more than creating a physical space. Memorials are remembrance places for historical events that are often, and especially in this instance, tragic. They provide an area for a group or event to be remembered and, in creating a memorial, architects are making deliberate, calculated decisions about how to deal with the past. In Berlin, memorials are in the epicenter of tragedy. The headquarters of the Secret State Police were in Berlin and, post World War II, the Berlin Wall was a massive symbol of the East/West divide. Our educators were not wondering this because they wanted to test our creative abilities; they wanted to challenge us to think about what truly generates appropriate aesthetics in a place of memory. At the time, I sat and thought about my version of a perfect memorial; I brainstormed ideas I hoped would work well and dreamt of how it would look and where it would be. In the time since, I have continued to think about the concept of a perfect memorial and I have realized that a “perfect” memorial cannot actually exist. 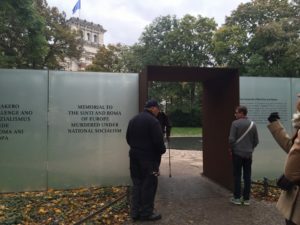 By analyzing three memorials we visited in Berlin and illustrating how the “perfect” version of a memorial is different for different people, I hope to show the impossibility of the quest for a perfect memorial and provide an alternative thesis for thinking about the objectives a memorial is set to achieve. The first memorial we visited was the Memorial to the Sinti and Roma Victims of National Socialism. 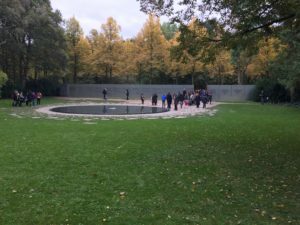 Situated in the expansive Tiergarten urban park, it is just south of the Reichstag and commemorates as many as 500,000 “Sinti, Roma, Lallere, Lovari or Manouche” who were killed under the National Socialist regime. Just a short walk off the beaten path, the memorial is situated in what feels like the middle of nature. The memorial is bordered on two sides by trees, shrubs, and forest. The remaining two sides are bordered with translucent glass. When standing outside the memorial, you can read on the glass facts about the genocide of the Roma population, this is your first impression of the memorial. More than likely, the first thing you will notice is the massive black circle in the middle of the memorial. After a second you will realize that the black circle is actually water, as flat and smooth as glass and nearly as reflective as a mirror. Around the small pond, slabs of flat rock act like stepping stones around the memorial. Oddly shaped, they represent glass shattering as if from the center of the pond out (see photo). On the “shattered” pieces, names of concentration, death, and labor camps where Romani were sent are carved into the rock. You will hear the faintest music playing in the background; music and song are integral parts of Roma society and this is reflected in the memorial. This is a particularly well-executed memorial. It demands reverence; it is located in a private, quiet area but not too far away from public areas, and achieving a delicate balance of providing information to visitors without being too overwhelming and museum-like. However, the memorial is not fully accessible. On the most basic level of accessibility, the stones entering the memorial are very uneven and some involve a step down; if someone were using a chair, it would likely be very hard for them to access the memorial. From an educational accessibility standpoint, it involves reading to understand the symbols of the memorial and reading materials are only provided in German and English. Certainly most people visiting the memorial would understand one of the two languages, but not everyone. Especially when you consider that a large portion of the Romani population lives much further east from Germany, especially in the Ukraine, Romania, Russia, and other Eastern European countries. The majority of populations that the memorial is dedicated to probably would not understand the languages of the memorial. In addition, I have a feeling that children would have a hard time understanding or feeling compassion toward what the memorial represents. There is very little for them to interact with and the language is geared towards an older audience. I have a ten-year-old sister and, though she is extremely mature for her age and has a high emotional capacity, it is hard for me to imagine that she would really take a lot from the memorial. One could argue that this is okay because the memorial is not really intended for kids and though I can see that may be the case, if our memorials are not designed toward teaching the next generation about the dangers of totalitarianism or helping them prevent such atrocities from happening in the future, then why even build a memorial? Another memorial we visited was the Memorial to the Murdered Jews of Europe. This memorial is in the very center of Berlin in a lively area filled with sounds of horns honking, busses pulling up and leaving, and children playing. I personally loved the location of the memorial for a few different reasons. First, the memorial is present in the middle of everything, prominent in society, just like the Holocaust was, but in the case of the Holocaust, many people chose to ignore it and keep side. I also like it because, unlike the memorial to the Roma and Sinti, you cannot avoid or miss it. 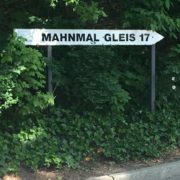 It is on the main road and takes up a lot of space, so you cannot avoid noticing it as you walk past. Another thing I like about it is that it is in open air, allowing anyone to access it (see photo). This last point, though, is also a source of some of my problems with the memorial. There are few signs around the memorial telling visitors what it is, asking for respect, or providing guidance of appropriate actions at the memorial. In fact, I saw none of these things at all until a colleague pointed out that on the ground there was a sign asking visitors it was written to be respectful. 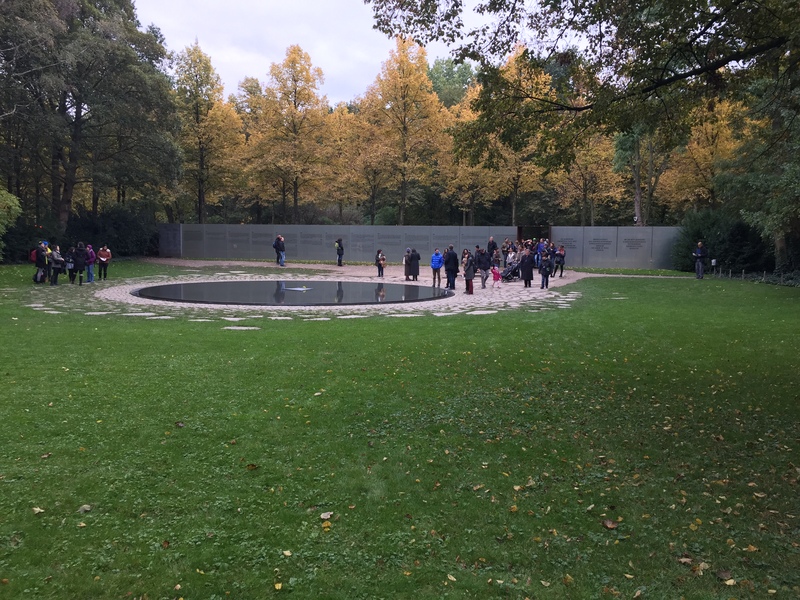 Because of the lack of signage and the inviting shape of the slabs of rock, children and adults alike were climbing on them, yelling, and doing all sorts of lively activity that is normally not accepted at a memorial and especially a memorial to such historical tragedy. It is tempting to think that those people were just not taught how to properly act at a memorial, thus placing the blame them. 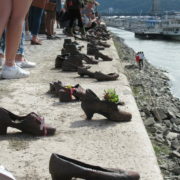 For instance, a colleague mentioned that she would have acted in the same way as many others were had she not known it was a memorial; maybe a good portion of the people did not understand where they were standing. There are so few markings of the memorial that it is entirely possible you visit this memorial and do not know what it is. However, when you do know what it is, the rising, uneven slabs around you seem to silence the world. You venture deeper into the ground and the downward movement combined with the heaviness of the rocks creates dual feelings of gravity. 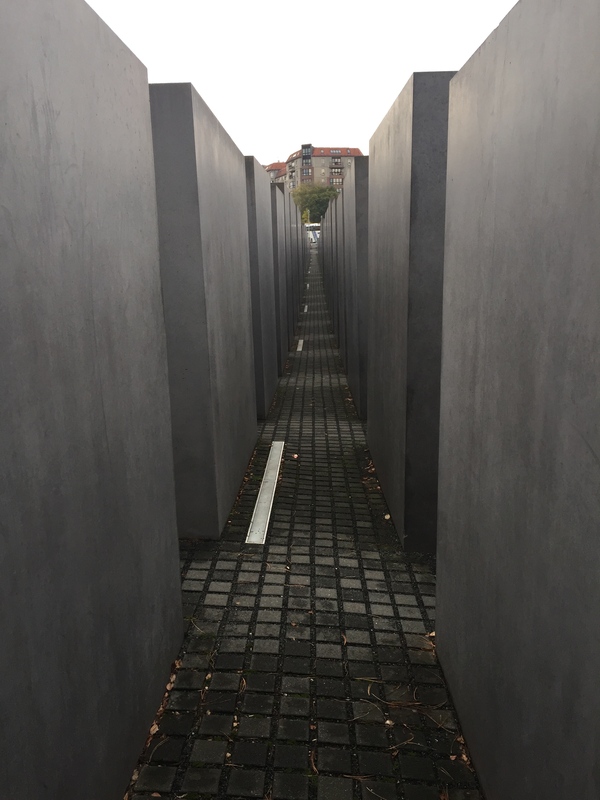 You can feel the literal gravity and the emotional gravity of the Holocaust; it is a powerful feeling. 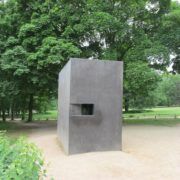 The final memorial we visited was the Memorial to Homosexuals Persecuted Under Nazism. This was the most controversial of the monuments. The memorial seemed to make no sense to nearly anyone in our group. 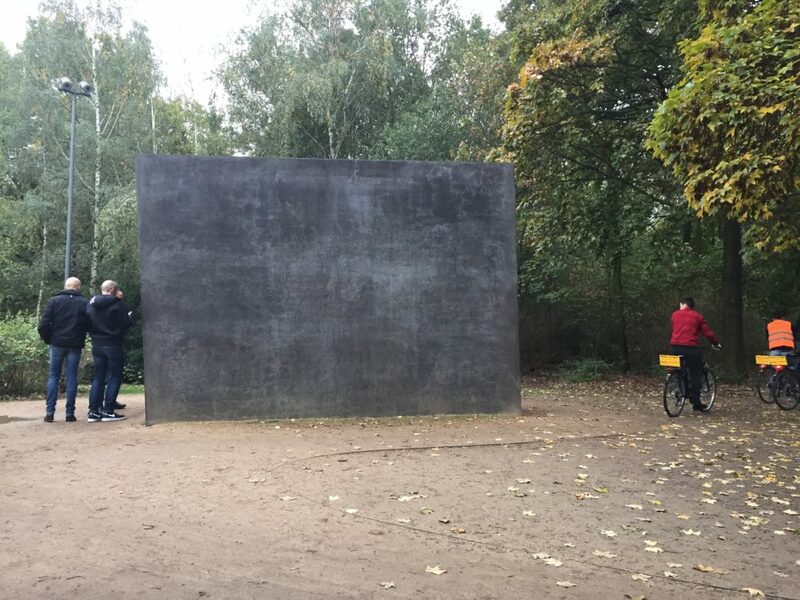 It is a big, black box hidden in a park. On one side of the box, there is a little window and when you look in, you see a short clip projected of first a gay couple embracing and kissing, and then a lesbian couple (the day we were there, the projection was broken, so it was just a still photo of two men kissing). 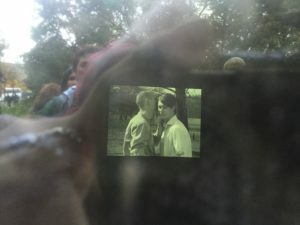 It is not anything sexually explicit, just a kiss on the check, but it is an action that would have been (and in many areas of the world still is) a crime in Nazi Germany. There is nothing substantial marking the monument. When you approach it from the main street, there is a plaque about a foot off the ground explaining the memorial. However, from the side we approached it there was nothing. Furthermore, there is nothing written on the outer walls of the memorial or even inside explaining what the video clip is showing. I identify as heterosexual and so I am ill equipped to speak for a member of the LGBTQ community, but it was hard for me to even try and understand why anyone would feel like this is a compassionate and respectful memorial to a persecuted population. Even in the case where a non-heterosexual person could identify with the memorial, it raises the question I mentioned earlier: if the memorial is not accessible to all people, how is it working to truly commemorate a tragedy? Thinking back to where I began this paper, dreaming up my perfect memorial, the question of accessibility was first. 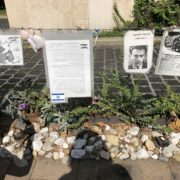 It seemed to me to be the most important: if your memorial cannot be accessed physically or intellectually to a diverse audience, it will be ineffective in achieving its purpose. Physical accessibility was not too hard to achieve. However, the problem of educational accessibility was difficult to approach. There seemed to be no good way to present educational information so that it would teach everyone. 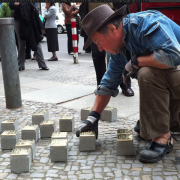 This task is especially crucial in a place like Berlin, whose memorials are visited by people from all over the world. Different countries teach the Holocaust in different ways; some teach it extensively and some not at all. 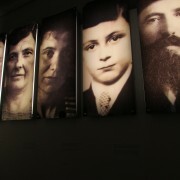 Some, like Poland, have strict laws about the ways you can even write and discuss the concept of concentration/death/labor camps and some cultures, such as the Romani, do not even fully recognize terms used for the Holocaust (the Romani have a word, but according to one of my educators, some Romani will not know what event you are referring to even if you use the word in their language “Porajmos”). And this prompted my hypothesis: the problem is not the memorial. That is, there is no One Way of doing a memorial because every one who visits will approach it with different thoughts, notions, feelings, etc. This could be seen in our small group of women. We are all students at the same university, about the same age (19-20), and have similar interests. We share relatively similar cultural backgrounds and yet we still approached all of these memorials very differently. 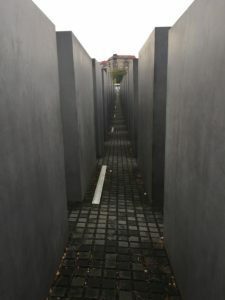 Imagine trying to attain a similar feeling of reverence, respect, and compassion at a memorial that is accessible to multiple cultures, ages, and education levels. It is nearly an impossible task. Therefore, I think it is more important that the memorial have heart. When I visit a memorial, I do not need to necessarily read or understand it to get a feeling and have emotions. The Memorial to the Murdered Jews of Europe provoked deep thoughts and feelings in me without having to read a single word. I did not need to read the words on the side of the Roma and Sinti memorial to know that it was a space of reverence; it was felt in the atmosphere. I did not need to know what the Memorial to the Homosexuals Persecuted Under Nazism was to have feelings of confusion and question what it was meant for. Emotions are what I took with me when I left. Thus, memorials do not need to be geared towards education or information. Rather, they need to be geared towards generating the feeling they are there for. Emotions are felt across populations, ages, cultures, and educational levels. If we begin gearing our memorials towards provoking those feeling, I think we will have much greater success. After all, it has been written: “they may forget what you said, but they will never forget how you made them feel” (Maya Angelou).